Learn what the advantages and disadvantages of a foreclosure vs a short sale are! Foreclosure: A homeowner who loses a Foreclosure is ineligible for a Fannie Mae backed mortgage for a period of five years. Successful Short Sale: A homeowner who successfully negotiates and closes a short sale will be eligible for a Fannie Mae-backed mortgage after only 2 years. Foreclosure: On any future 1003 application, a prospective borrower will have to answer YES to question C in Section VIII of the standard 1003 that asks “Have you had property foreclosed upon or given title or deed-in-lieu thereof in the last 7 years?” This will affect future rates. Successful Short Sale: There is no similar declaration or question regarding a short sale. FHA – If current at the close of short sale, a homeowner may apply for an FHA loan immediately. If homeowner is late before close of short sale closing, will be eligible for FHA loan after 3 years. Successful Short Sale: Only late payments on mortgage will show, and after sale, mortgage is normally reported as “paid as agreed,” “paid as negotiated,” or “settled.” This can lower the score as little as 50 points if all other payments are being made. 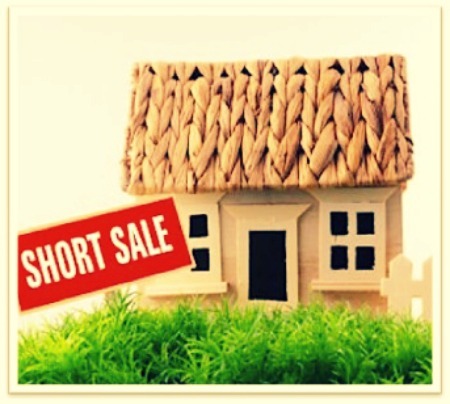 A short sale’s effect can be as brief as 12 to 18 months. Foreclosure: Foreclosure is the most challenging issue against a security clearance outside of a conviction of a serious misdemeanor or felony. If a client has a foreclosure and is a police officer, in the military, in the CIA, Security, or any other position that requires a security clearance in almost all cases clearance will be revoked and position will be terminated. Successful Short Sale: On its own, a short sale does not challenge most security clearances. Successful Short Sale: A short sale is not reported on a credit report and is therefore not a challenge to employment. Foreclosure: In 100% of foreclosures (except in those states where there is no deficiency) the bank has the right to pursue a deficiency judgment. Successful Short Sale: In some successful short sales it is possible to convince the lender to give up the right to pursuit a deficiency judgment against the homeowner. Foreclosure: In a foreclosure the home will have to go through an REO process if it does not sell at auction. In most cases this will result in a lower sales price and longer time to sale in a declining market. This will result in a higher possible deficiency judgment. Successful Short Sale: In a properly managed short sale the home is sold at a price that should be close to market value and in almost all cases will be better than an REO sale resulting in a lower deficiency.